Lini the Druid snorts mead out of her nose. Seelah looks at her, finger frozen in mid-air. Is that a smirk on Sajan the Monk’s stony face? 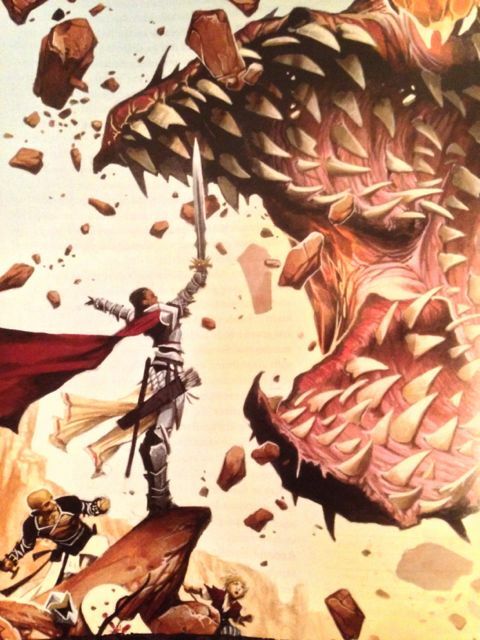 Posted in Blog Posts and tagged PACG, Pathfinder Adventure Card Game, session report on January 27, 2014 by Tim. Paizo have the next adventure path for the Pathfinder Adventure Card Game scheduled for August, when the current Rise of the Runelords series finishes. It is Skulls and Shackles, a piratey adventure for a new set of characters, including Swashbuckler, Oracle and Gunslinger. Posted in Blog Posts and tagged PACG, Pathfinder Adventure Card Game on January 17, 2014 by Tim. I just got the Pathfinder RPG Core Rulebook, and the Rise of the Runelords Anniversary Edition adventure path. The Core Rulebook is a whopping 570 pages of roleplaying goodness. 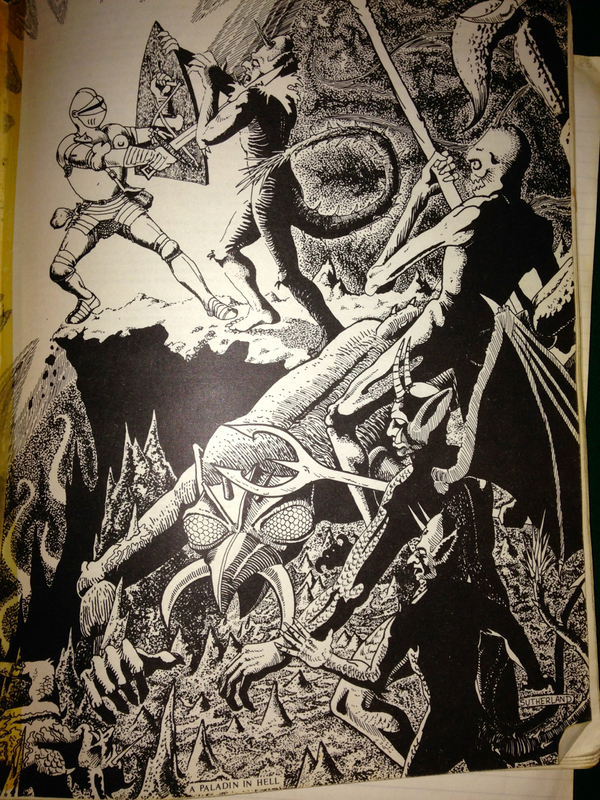 It has the gorgeous Wayne Reynolds art for the character classes (he did quite a lot of Magic cards, too) and has all the rules and background for the Pathfinder version of D&D 3.5. Posted in Blog Posts and tagged Pathfinder on January 16, 2014 by Tim. I resumed my original PACG party’s adventures and took them through the final two scenarios in the Burnt Offerings adventure. The party is Valeros the Fighter, Seoni the Sorceress, Kyra the Cleric, and Merisiel the Rogue. They were making their way down into the catacombs below the mountain in the final scenario, Thistletop Delve, and had cleared out five locations before finding Nualia the evil priestess in her Throne Room as the last card of the last location. Posted in Blog Posts and tagged PACG, Pathfinder Adventure Card Game, session report on January 14, 2014 by Tim. Azathoth really cannot sleep. It is up to Lola Hayes the actress and Norman Withers the astronomer to keep him from waking. As if battling Azathoth isn’t enough, Lola has to chase a team of evil cultist explorers from expedition to expedition as they try to discover all the Secrets of the Past and destroy the world. She follows them from Antarctica to Tunguska to the Pyramids, always one step behind. Finally she gets ahead and beats them to the Heart of Africa. Posted in Blog Posts on January 1, 2014 by Tim.